Welcome to Best Things to do in Brussels! 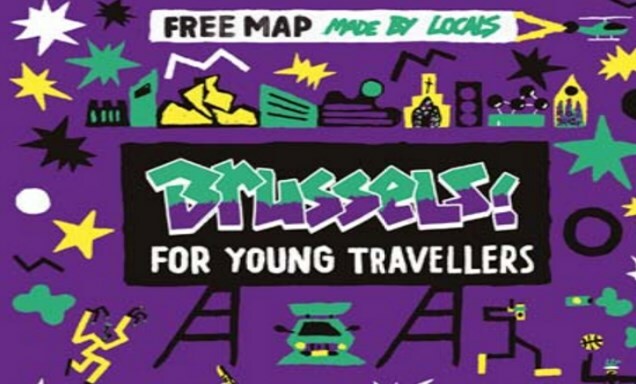 Here's a list of the best cooking activites, tours and things to do in Brussels. 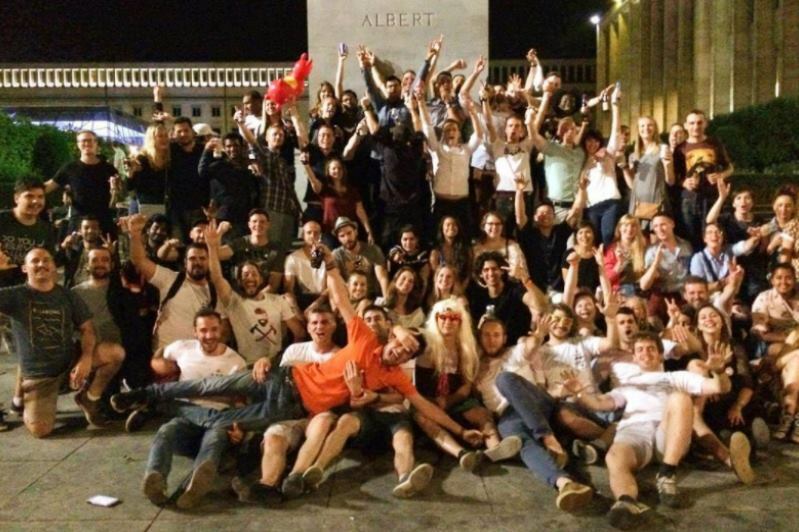 Wether you live in Belgium, work in Brussels or are coming for a quick visit, you will find here top things to do to keep you busy indoor/outdoor or organize a successful teambuilding in Europe's capital. If you have any question, send us an email, Ill be happy to help you plan your trip or event: titch@1usual.com or chat on What's app: +32 478 23 60 32. 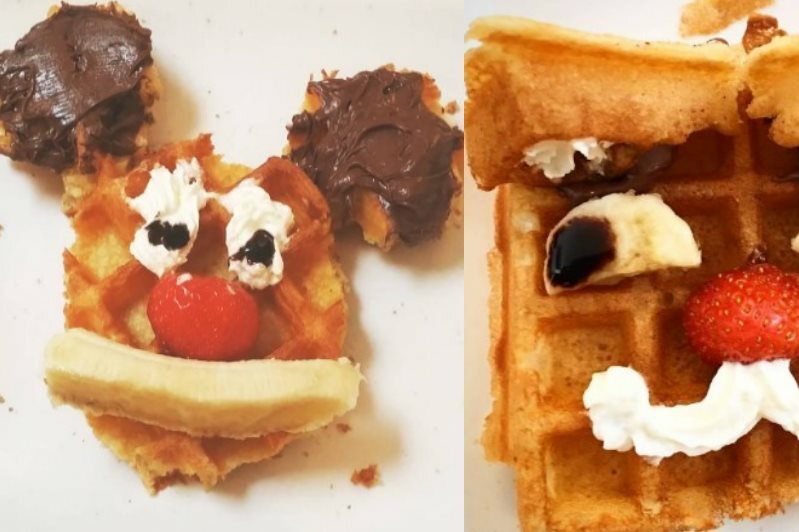 Learn how to make the best Waffles ever! 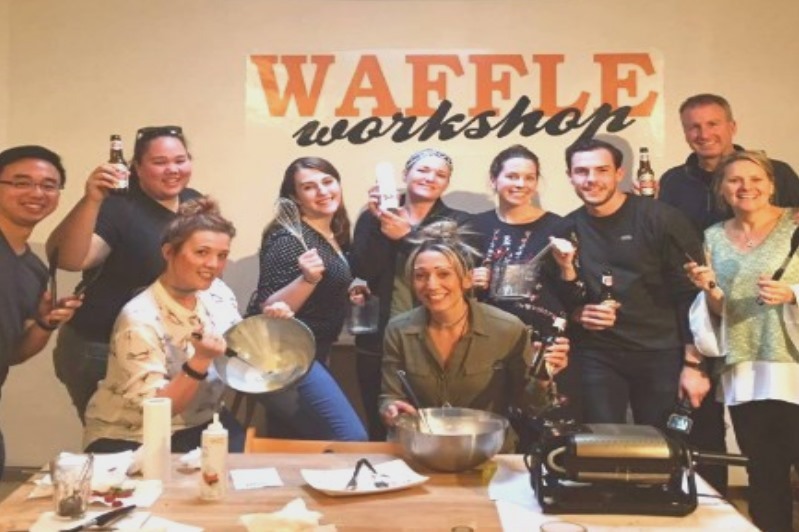 We will teach you all the secrets of top Brussels Waffles, let you make them yourself and eat as many as you can! Take home recipe & complimentary drink included. Become a Belgian chocolate maker in 2-hours! 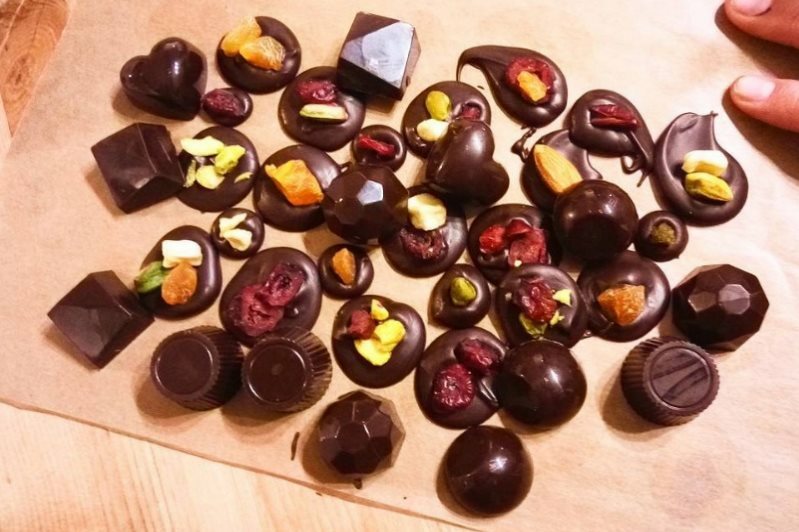 Learn how to craft pralines & mendiants chocolates from scratch to take home over 30+ pieces you will have made yourself, together with a delicious hot chocolate! Learn how to pair Belgian beer with any chocolate, you will be surprised how tasty this can be! This tour includes the tasting of 5 local Belgian beers and 5 matching chocolate + some theory to make your own mix & match! 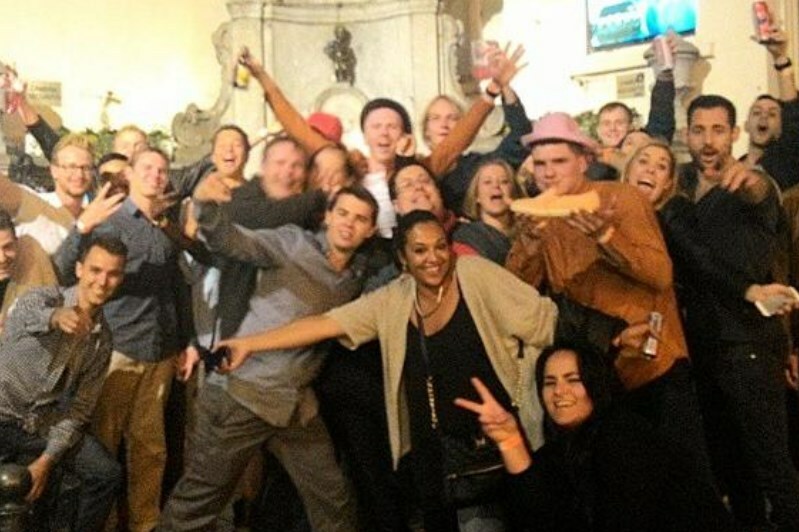 Join our night bar & pub crawl at 9:30PM to make the most of Brussels nightlife! Free beer, drink discounts, fun crowd and a hell of a night! 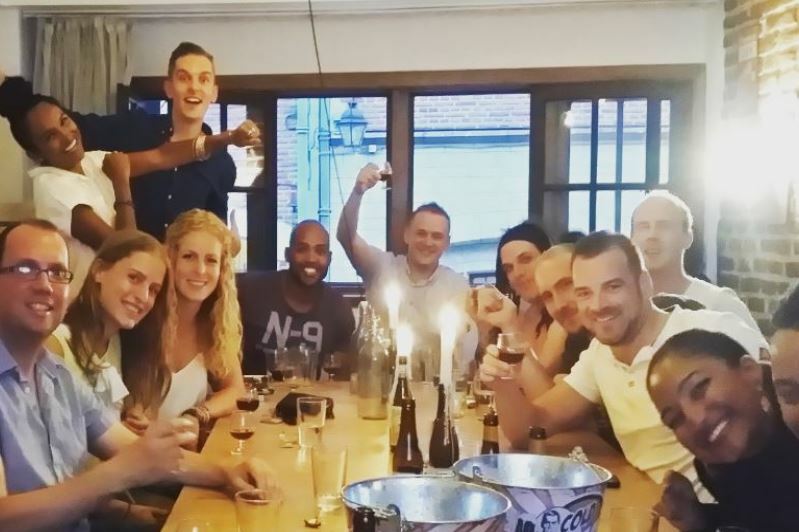 Cheap cocktails & multicultural bar scene make it a unique experience. 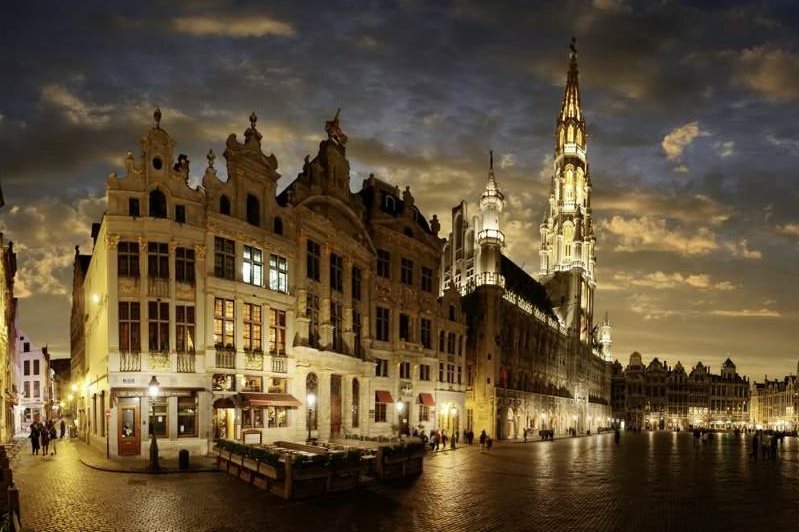 Walking tour of Brussels by night, you will discover the city sights history in a terrific way, between facts & legends your guide will take you where you should not go alone. Learn how to make the most of instant cameras & discover Brussels in a different an unique way! Cameras, pictures, guide & a drink all included. 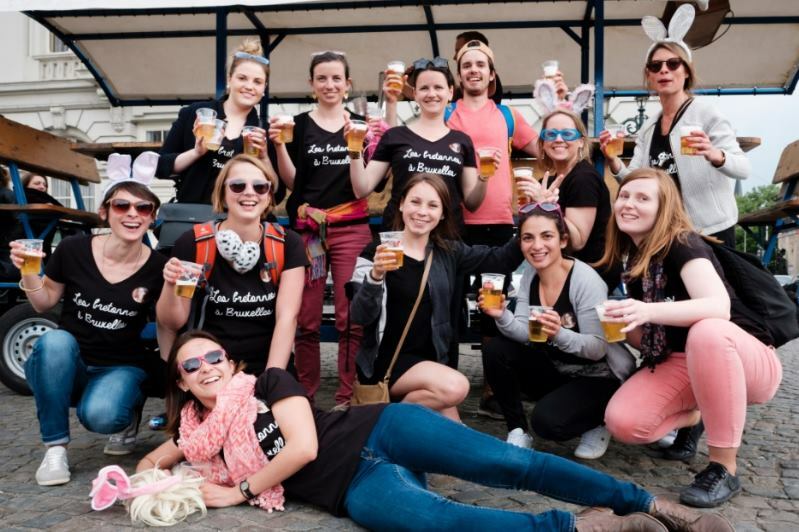 Discover Brussels by bike while drinking a cold beer! 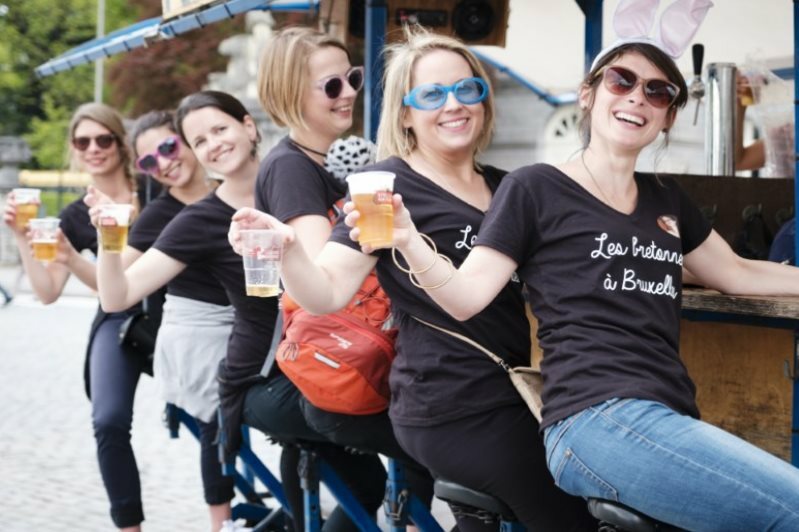 The Beer Bike is like a bar on wheels, with one of our driver driving you will enjoy the ride pedaling & drinking with your friends, sound system and 30L beer keg included! Bring your friends and take control of our cocktail bar! 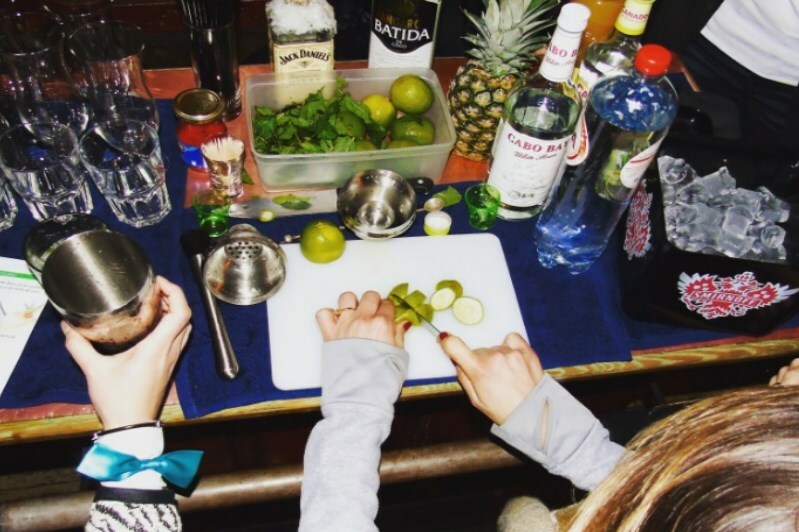 You will learn with a pro the secrets behind the best cocktails, take home recipes, demo, goodies & 3 cocktails included! In a bit more than one hour, learn what makes beer so amazing and why Belgian beers are so different from beers around the world. The Beer Experience is a fun and interactive session that includes 5 free beer tastings. We offer private walking tours of Brussels, Bruges, Ghent and Antwerp with professional guides in many languages. Combine activities with a sightseeing walking tour for a full experience of Brussels. Create your own, unique one day trip to Brussels! 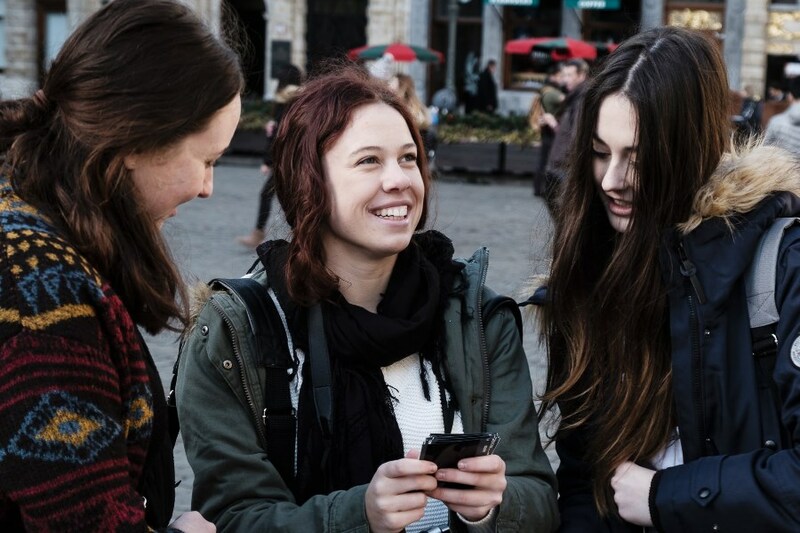 Combine chocolate, waffle or both workshops with some sightseeing by private car, bike or just walk around the city with a guide, add a couple of instant camera shots of Brussels Street art and you are all set! 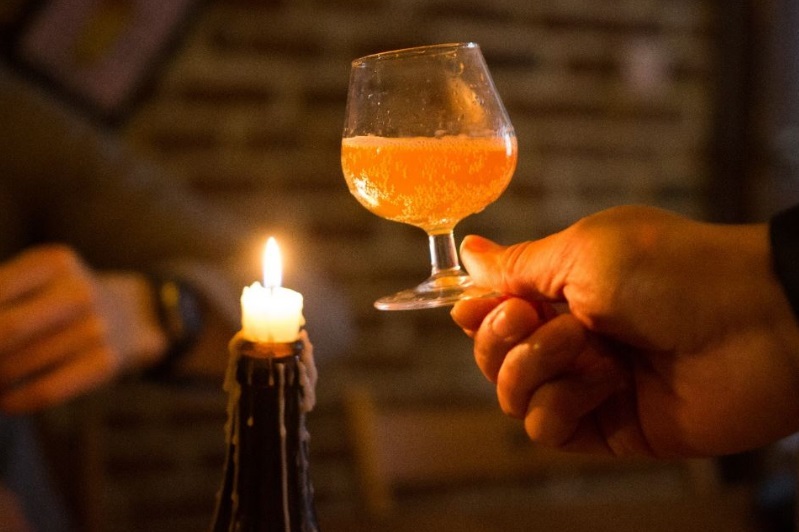 If you feel like it, add a beer tasting and you are all set for the best Brussels experience ever! Example: Hotel pick up at 10AM then sightseeing bike tour until 1:30PM (including best Belgian Fries for lunch! ), followed by Chocolate Workshop at our private venue & tasting. 4PM: Street Art short photo tour with instant cameras (provided). 6PM Beer Tasting back at our workshop place in the Unesco Protected Area. 7:30PM: traditional Belgian dinner, end. Fee: 250€ / person. Get the free Use-It map made by locals. This non-profit no-nonsense project releases every year a new edition of city maps featuring tips & tricks by locals as well as walking tours and how to avoid tourist traps! Pass by their office to pick up your own paper version or print the PDF or download the app (iphone only, work offline). Garanteed without any advertisement! Note: maps are available for many other cities in Belgium (Ghent, Bruges, Antwerp,...) but as well in Europe!